For those of you that are NEW TO OUR SERVICE, we guess the best way to explain what we are all about is to explain HOW THIS SERVICE BEGAN. In November of 2005 the founder of, what would eventually become, Baltic Value sent, as Christmas gifts, an assortment of items to people that if you lived in the Baltic's you would have in your home and use every day. He thought that everybody would find it interesting to use these products from the Baltics. Also, we are very proud of the Quality of the Products that we produce here so he was also trying to show off a little. Well, he was right. The people did find it interesting to get these. The NOVELTY WORE OFF though as they USED THE PRODUCTS!!! He started to get E-Mail thanking him for the gifts and also saying HOW GREAT the PRODUCTS WORKED and HOW MUCH they ENJOYED them. A few months later many of these people said they would like to get some more of these products and offered to pay for the products and the shipping. Happily these people placed "orders" for more items. Then something strange started to happen. One or two week later some of these same people said they wanted to "order" more. He hadn't even sent some of these people their items yet and they wanted more!!! What was happening was that someone would tell a friend or co-worker about these items and how great they worked. Then when they told them HOW LOW the PRICES WERE now these other people wanted to "order" some. One thing led to another and to another and after a while he was regularly sending out "orders" to the United States, Canada, Great Britain and some other E.U. Countries. Finally he came to some conclusions. People really LIKE THESE PRODUCTS, people really LIKE THESE PRICES and he should OPEN THIS SERVICE TO THE PUBLIC. So in March of 2008, what started as an assortment of Christmas gifts became www.BalticValue.com and its doors were opened to the public. So here we are. WELCOME to BALTIC VALUE. We have organized the products that friends, relatives and family members have been so happy with. We have organized ourselves with a web site so that you can look around at the products and with a click of your mouse have these sent to your home. We got hooked up with "PayPal" to make the payment process easier for you and also to give you the peace of mind that your credit card information will be safe with "PayPal's" security measures. 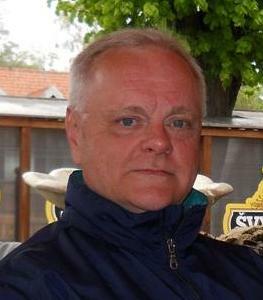 The founder of www.BalticValue.com is Vincentas Karnila. He is a Lithuanian American who was born and raised in the Boston area of Massachusetts. When he began living in Lithuania he immediately became very impressed with the quality of many of the products produced here and this was one of the reasons he sent those Lithuanian produced items as gifts. While he had successful careers in retail management and more than twenty years as an international management consultant, he will be the first to tell you that when he first opened www.BalticValue.com that he knew very little about E-Commerce. What he did know though was that much of his success and the success he helped create for his clients was based on making Customer Service a TOP PRIORITY. He knew that what makes any business successful is good customer service and this was and always has been his top priority. While search engines such as Google and Yahoo are an important part of successful E-Commerce, what also made Baltic Value so successful is that so many of our new customers came to us from referrals from our current customers. As our customer base developed we could actually see communities of customers forming. As one customer put it, Baltic Value is like our neighborhood store where we can get our favorite things from the Baltics. All this is testimony to the founder’s goal of providing excellent customer service. Another service he developed for our customers, which has become very popular with our customers, is our “I CAN'T FIND IT” section of the store. Don’t see what you are looking for in our store, no problem. Simply send us an email at info@balticvalue.com and tell us what you want – We will do the rest. Want some of your favorite candy from the Baltics, a handmade Karuna for your traditional outfit, a Lithuanian language Bible, a conductor’s hat from the Lithuanian Railroad, a hand carved wooden statue of St. Kazimieras or maybe a Sajudis lapel pin? This is just a small list of examples of the items we have got for our customers over the years. HM, if you went so far you probably want to know how the store was started? The online store was started by Lithuanian-American from the Boston area of Massachusetts now living in Vilnius. My family is from the village of Guronys near Žasliai. More than 20 years experience as an international management consultant where my number one priority was focusing on customer service and customer service was always my number one priority with Baltic Value. In June of 2013, to build on the success Vincentas started, he took the next step that he knew would be needed to help Baltic Value grow to new levels of customer service and popularity and a new period of Baltic Value began - Two young Lithuanian ladies - Andželika and Gintare - joined the project to give it a new GO.